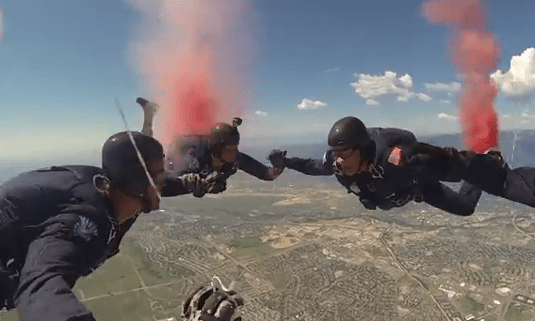 The Air Force Parachute Team, known as the Wings of Blue, put their agility to the test as they dance — and plunge — to Taylor Swift’s album hit “Shake it Off” for the Air Force vs. Army football spirit video. The teams go head-to-head Nov. 1 at West Point. Winning the last 17 of 20 games against Army, the odds could be in the Falcon’s favor.